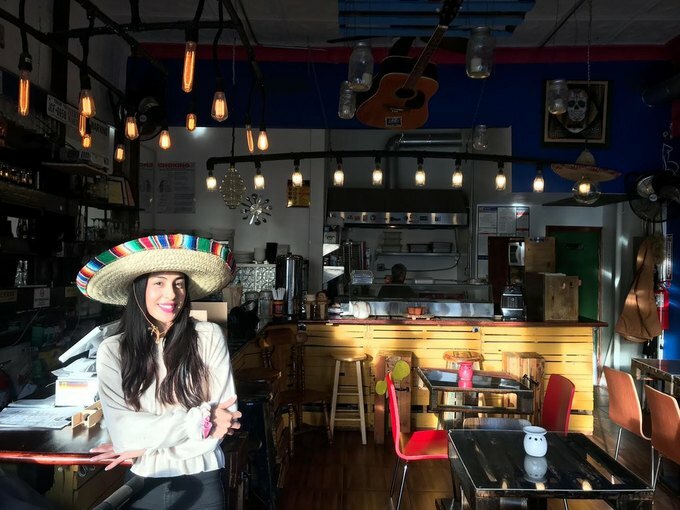 The light at the top of a small hill in Bushwick is now a taqueria, situated inside the location of what was once a curiously located sushi joint around the corner from a crowded French restaurant. The rustle of the overhead M train can be heard at opportune moments; across the street bent-up pieces of metal sit unclaimed. The American dream is elusive and it was not to be found wrapped in sheets of seaweed. So, onward they moved to guacamole, chips and a surprising amount of cacti, which shows up on their new menu far more often than at most of the neighborhood’s taco stops. 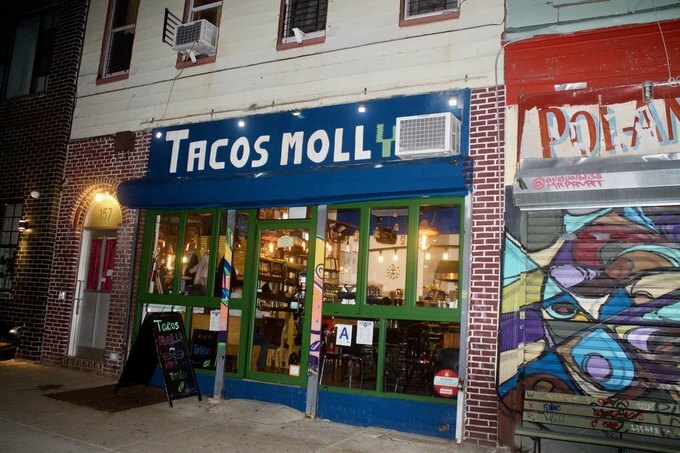 The latest dream of Brian and Monica Rangel, a husband and wife, whose child can generally be seen in a stroller nearby, Tacos Molly has been remade in a bath of color and intricate design. Here, your cliché Frida Kahlo-inspired taqueria meets meets the cultural brushwork of Latinx culture. Sombreros hang on a lamp that illuminates a black and white photograph of Roberto Clemente in the corner. A nearby clock is made of silver utensils, and another is made of dominos, and along the wall hang votive candles illustrated with the faces of John Lennon and William Shakespeare. The furniture is similarly homemade. 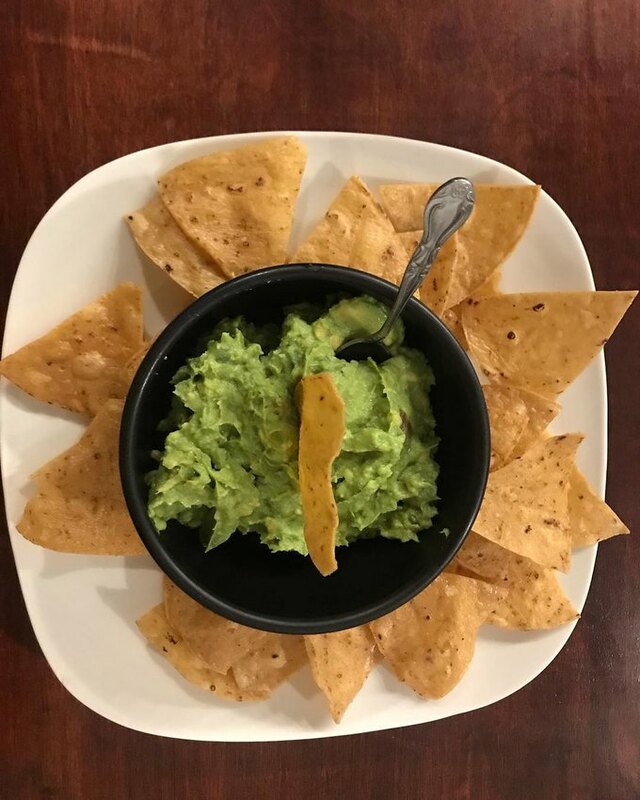 “We like to do everything here ourselves,” Monica says while laying down a tray of chips surrounding a pewter-colored cup of guac. This extends to one of the restaurant's more popular dishes since opening last month: the thick slices of tan tortilla chips boast the irregular cut and occasional bubble of the affably handmade. 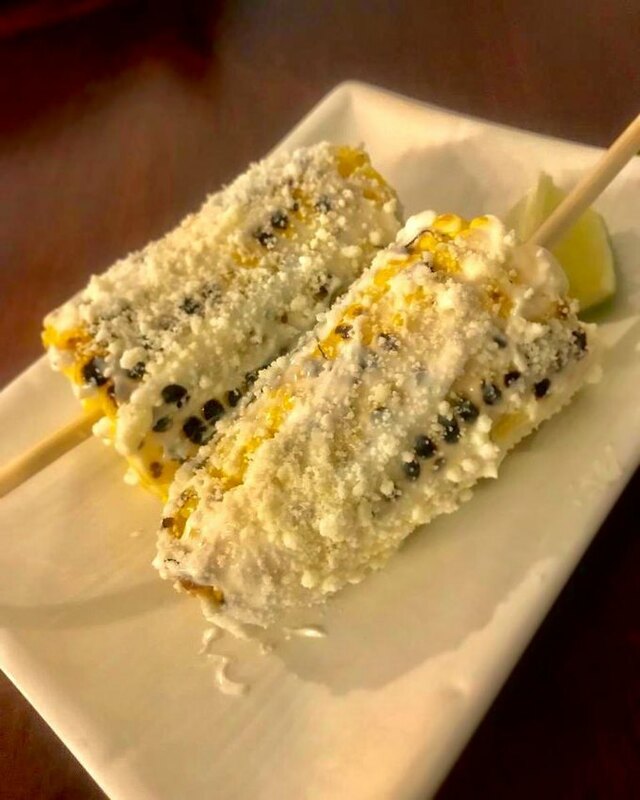 The menu leans handsomely on these kinds of gentle sides, whose variety also includes offerings of elote asado—chargrilled and carefully layered with a subtle house mayo. 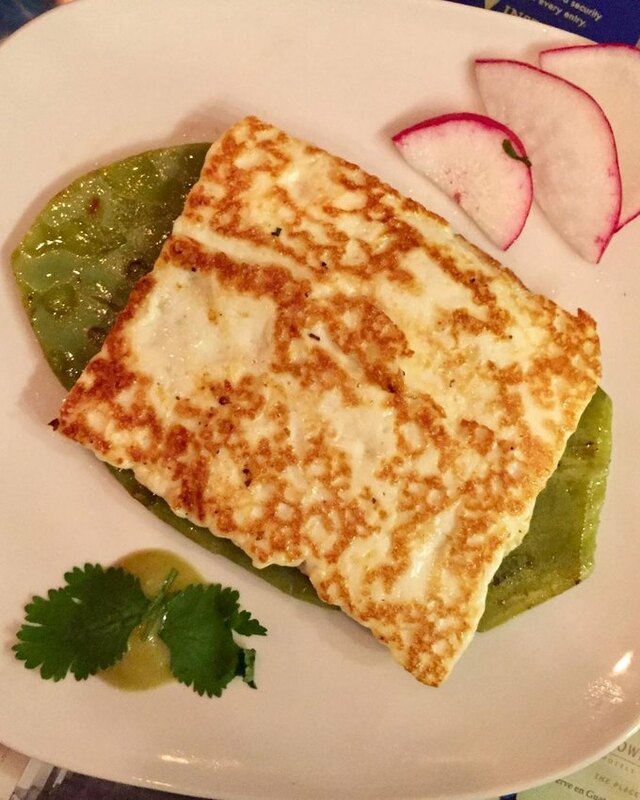 The aforementioned varieties of cacti, which come in the form of a generous salad or eaten by the slice accompanied by a thick slice of queso blanco and tastefully decorated. Some of the kitchenware, the glasses notably, have also taken the shape of the popular desert succulent. 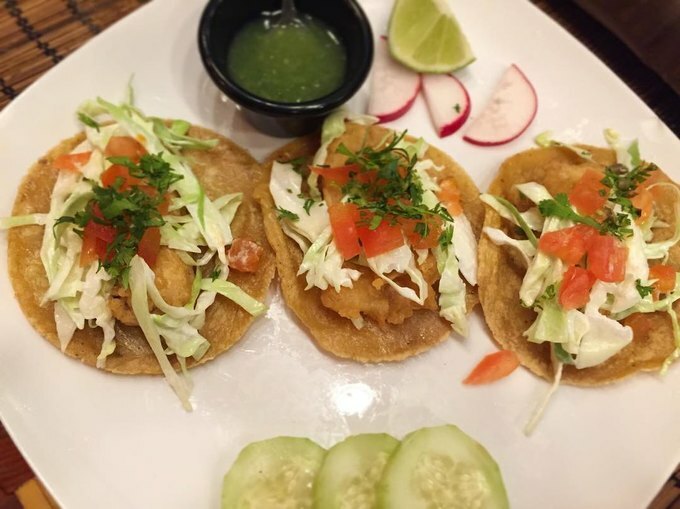 Tacos come in plates of three and are served on corn tortillas, except for one. The restaurant’s “healthier choice,” which goes by “Healthy Molly’s Taco” on the menu, is a meal’s worth of tuna and greens served on three long romaine leafs. Other varieties include grilled meat with pineapple, fish, shrimp, as well as more vegetarian options. Eating in is recommended for the eye-catching ambiance. 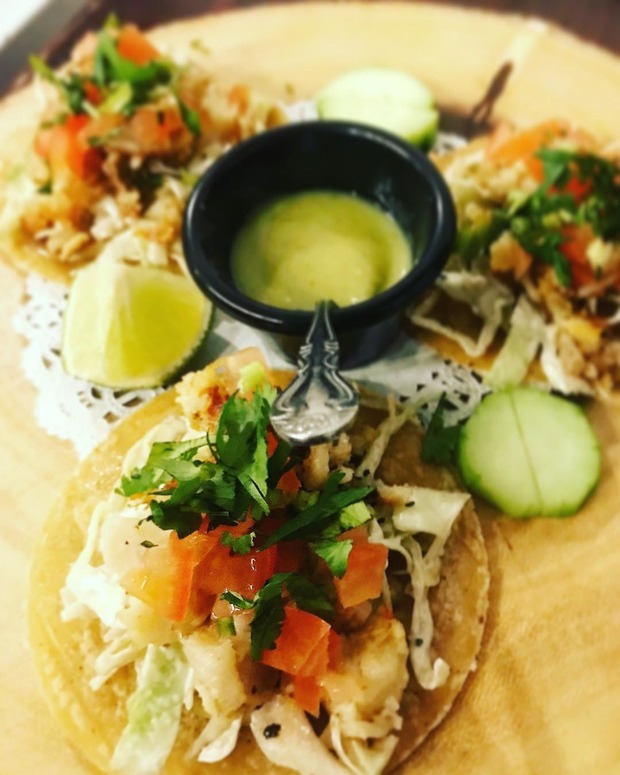 In a nod to their original sushi shop design, Brian makes these tacos publicly in the restaurant's front, a performance of elegant force that you can also watch while waiting. They are served on wooden platters and will be consumed ravenously. Currently, they are closed for maintenance, but delivery is still available on multiple platforms. Stay tuned by following their Instagram. 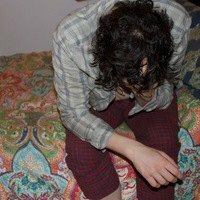 All images courtesy of Tacos Molly, unless otherwise specified.